According to Dang district representative J.N Sagar 17 years old boy was controlled by the police after he came to cast vote at Gadhawa village council-4 in the name of his brother. Meanwhile Rishi Khanal of same village council-6 has been controlled by the police after he disseminate in front of the voters by holding sample ballot paper. NCP led by Netra Bikram Chand has exploded bomb in Madane Village council-7 on June 28 near polling center. On June 27 & 28, the party has exploded bomb in same place however there were no human loss in the explosion according to polling officer Tara Bahadur Raut. According to Terathum district representative Bahgishwor Limbu, there was a clash between the cadre of CPN UML , NC and Maoist center in Sharada Polling station at Aathrai, village council, Cuwandada. Police have arrested two cadres and the voting process was resumed. According to Kailali district representative Rabina Chaudhary, there were no serious incident in the district quoting CDO Govinda Prasad Rijal. In all 231 polling stations, the voting process was normal and there were no major incidents. According to Khotang district representative Sunita Magar, a bomb found at about 400 meters away from the polling center at Lamidada village council-5 was disposed by a team of Nepal Army. According to INSEC regional Office of Biratnagar, an explosive has been recovered near the polling center at Budiganga village council-5. The bomb was diffused by a team of Nepal army. As per locals, at about 300 meters away from the poling center in Hattimuda in ward number 5 of same village council a bomb was recovered. In Banke District, 15 motorbikes operating without getting permission are controlled according to inspector Bir Bahadur Thapa of DPO. Similarly, in Kohalpur municipality-4 of Banke, more than 90 percent of votes were casted. In this polling center, 50 voters did not come to get voters ID according to the observer Balika Budathoki. In Nepalgunj sub-metropolis-20, Rahja, police have controlled Rabi Bumi on charge of coming for proxy vote. Out of 2400 voters in this polling center, 1700 have already casted their votes. The second phase of local level election has commenced in 35 districts under the province number 1,5 and 7 on June 28. According to the information provided by the INSEC district representatives, the voting process has begun in all districts with overwhelming participation from voters. According to INSEC district representative Kokila Dhakal, due to a heavy rainfall in Ilam, voters are facing difficulties to cast votes. In majority of the districts under province number 1, there is a heavy rainfall. In province number 7, there is a significant participation of voters according to our district representatives. According to the district representatives from Bajura and Achham, there is a significant participation of women in voting process. Meanwhile, according to Bajura district representative Padam Sing, a bomb has been recovered near the polling center in Mangalmata lower secondary school at Himali village council. The bomb has already been disposed by a team of Nepal Army. INSEC district representatives from Arghakhanci, Palpa, Gulmi, Nawalparasi and Rupendehi under the province number 5 said that the polling has begun in the districts. According to Rupendehi district representative Reema BC, the polling has been obstructed in polling center in Butwal Sub-metropolis-8 until 9 am due to the heavy rainfall. Similarly, in Dang, Banke and Bardiya the polling has begun peacefully. According to Pyuthan district representative Rabindra Pandey, in Kochiwangn as polling center in Swargadwari municipality-1, the polling has not started until 9 am. The process has been obstructed over the issue of injuring 44 years old cadre Bhim Bahadur Gharti Magar of CPN UML on June 27 during the clash with Rastriya Janamorcha and UML cadres. The injured is getting treatment at local health organization. The cadres of UML are on stand that they will not participate in the election until the cadres of Rastriya Janamorcha are arrested. CDO Yadu Nath Paudel said that the discussion is being held in order to move forward the election process. According to Bajhang district representative Prakash BK, a clash has been reported between the cadres of CPN UML and NC cadres at Jaya Prithvi Municipality-3, Pandu polling center. In a clash, NC candidate Prem Bahadur Khadka was injured and he is receiving treatment at local health organization. AT present, the polling has been postponed. A meeting is holding to resume the polling. According to INSEC district representative Kokila Dhakal of Ilam, a bomb has been exploded near Adarsha Basic School in Ilam municipality-7 however there were no human loss in the explosion. The voters were terrorized by the explosion. The continuous rainfall has obstructed the polling process. According to INSEC district representative Madhav Oli of Rolpa, in Bhanbhane polling center, one voter put the acid in the ballot box while casting his vote. The ballot box was burnt in the incident. Person involved behind the incident is not identified. The polling has been postponed after the incident and a chief district election officer is on the way to the incident site. There were more than 300 votes caste in the ballot box. According to Bardiya District representative Man Bahadur Chaudhary, a “Sutali” bomb was recovered at about 300 meters away from the polling center in Shambhusaran Secondary school at Guleriya Municipality-2. Similarly, in Madhuban Municipality-12 Kothiyaghat road section a bomb has been recovered. The explosives and bombs were found in three places which were diffused by a team of Nepal army. In polling centers, the voters are facing difficulties because of the lack of space. Especially, elder and person with disability are facing difficulties due to the lack of space. The polling officer in Badhaiyatal village council-8 has prohibited distributing boxed water. In Pyuthan, the polling has started in Nas polling center in Swargadwari Municipality-1 according to CDO Yadu Nath Paudel. The polling process was halted after the UML representative did not participated in the polling center. According to Achham district representative Shiva Raj Dhungana, a suspicious material was found at Mangalsen Municiplaity-11. The voters were not allowed to walk from that way after the recovery of a suspicious material. The security personnel around the polling center said that there is a symbol of danger in the material. A bomb disposal unit has been informed according to DSP Niranjan Datta Bhatta. Early in the morning of June 28, a suspicious material was found 500 meters near the polling center at Gurukul Secondary School in Dhakari Village Council. According to Palpa District representative Yagya Murti Timilsina, 82 years old Purnachandra Bhattrai died due to the cardiac arrest while queuing to vote according to SP Hari Raj Wagle of District Police Office. The election has not been affected here however due to the rain, voters are facing difficulties. According to INSEC district representative Reema BC, until 11:30 more than 31% votes were casted. >According to Khotang District representative Sunita Magar, an unidentified group of people have planted a bomb near the polling center at Dubekol. The bomb was diffused by a team of Nepal army. A bomb has been recovered at about 400 meters away from the polling center. The polling resumed after the diffusion of bomb according to polling Officer Dinesh Khatri. At present, the polling is peaceful in all 173 polling centers of the district according to district election office. According to Gulmi district representative Top Lal Aryal, in all polling centers of the district, the voting process is moving peacefully. In Ram Rajya Polling center at Isma village council, 101 years old elderly woman has casted her vote. The security situation has been tightened in the district according to DPO. According to District Election Office, 90 percent of the voters have received voter’s ID card from all polling center of the district. In this district there are 1,80,075 voters. According to Dang district Representative J.N Sagar in Ghorahi Municipality-18 a suspicious material looking like a bomb, has been found. The area has been sealed by the army. 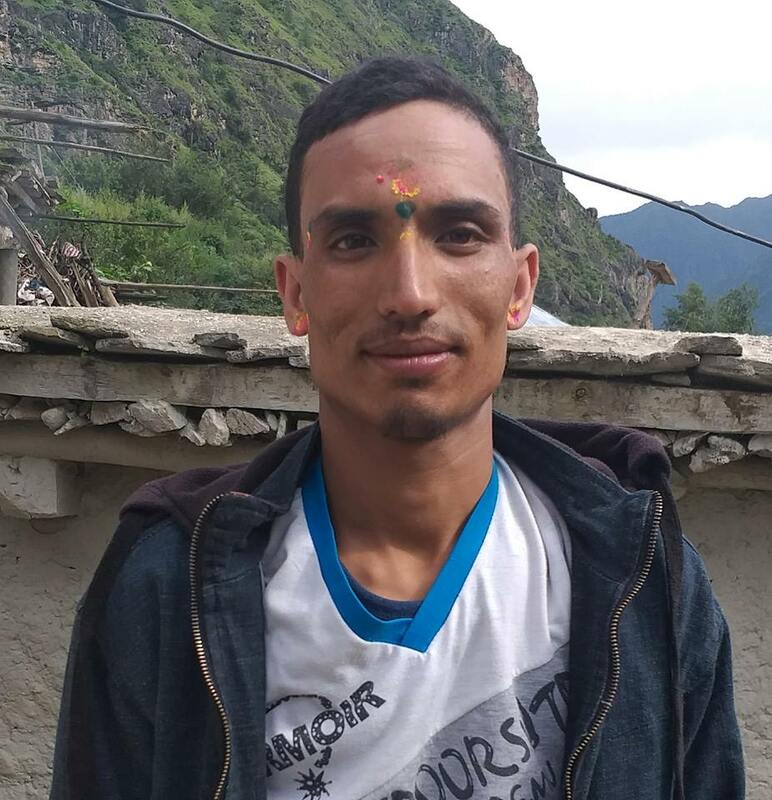 According to RSS, in Himali village council-1 of Bajura, the election concluded in four hours. In Gumbagaun polling center, 28 voters out of 30 have casted their votes.